Christian Media in Nigeria : Tye Tribbett To Stage iHOPE Concert In Honor Of Cousin, Corey Jones. Tye Tribbett To Stage iHOPE Concert In Honor Of Cousin, Corey Jones. 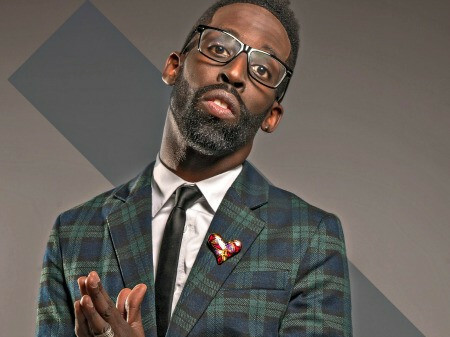 Grammy Award winner, Tye Tribbett’s cousin, Corey Jones, a drummer, was on his way home from a concert gig when he experienced SUV trouble in the early morning of October 18th. While he was awaiting roadside assistance on Interstate 95 in Palm Beach Gardens, Florida an undercover officer approached Jones’ stranded vehicle and while there are differing accounts of what happened next – less than an hour later Jones was dead, felled by at least three bullets after he began to run away from the policeman. The death of Tribbett’s cousin has moved him once again to speak out and advocate for change in the way humans deal with each other and how law enforcement deals with us all. Tribbett is hosting a free admission “iHOPE” concert to celebrate social change with “Break Every Chain” singer Tasha Cobbs, R&B star Akon’s protégé Mali Music, Top Ten recording artist Travis Greene and BET Sunday Best star, Le’Andria Johnson and Contemporary Quartet King Tim Rogers. The free concert takes place Thursday, November 12 @7:30 PM at The Faith Center located at 5555 NW 95th Avenue, Sunrise, FL. Earlier this year, Tribbett was moved to speak out after the June 2015 Charleston Church Massacre and he launched a packed “Hate Won’t Win” concert in Columbia, SC to benefit the Mother Emanuel Hope Fund that retired burial debt and other expenses related to the nine people who were shot to death in that tragic incident. Tye Tribbett leaped on to the national scene in 2004 with his riveting Top Ten radio smashes “No Way” and “Everything.” His frenetic energy and showmanship catapulted him to the top of the gospel field with subsequent radio hits such as “Victory,” “No Other Choice” and “If He Did It Before… Same God.” Four of his five albums have peaked at #1 on Billboard Magazine’s Top Gospel Albums sales chart and his latest “Greater Than” won the artist two Grammy Awards including Gospel Album of the Year.